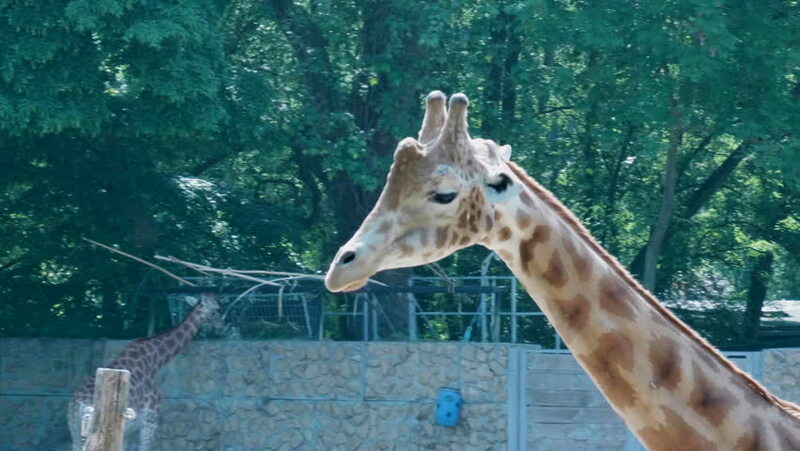 MECHELEN / BELGIUM - MAY 20, 2018 (Planckendael Zoo) Giraffe walking. Head and neck. 4k00:13UNDERWATER, SELFIE: Smiling Caucasian man takes a selfie with a big friendly stingray while diving in turquoise ocean. Young male tourist having fun swimming with the stunning tropical wildlife. hd00:13The puppy of the Husky lies on the ground in the park near his mistress.